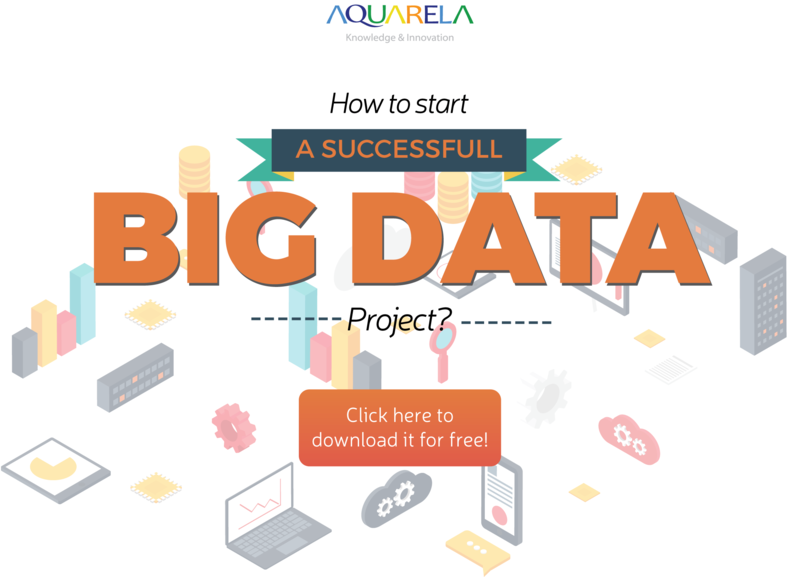 Based on our experience, on the degree of innovation and the complexity of Big Data projects, we created an infographic that explains in intuitive way the initial steps towards the implementation of a successful Big Data project. In this edition we focus on the Pre-Big Data stage that means carrying out a preliminary study to diagnose the maturity of the organization, its process in order to establish management priorities to further a successful Big Data project. In the document (free download) we apply a metaphor of a mountain full of minerals such as gold and silver that represent the accumulated organization’s operations data over the years. The manager’s dilemma is now to find ways to explore this informational asset at the lowest risk and cost and optimum results. The key answers we proposed here is what a pre-big Data does and what you should expect from it, avoiding great frustrations. Managers interested in applying Big Data on its operations, but still do not know how tackle this issue of matching innovation against business processes. Technology professionals and students interested in the topic and in the alignment between new technologies with business needs. What comes after the Pre-Big Data? As the Pre-Big Date brings together the minimum items required for any data analysis situation, the continuation is the acquisition of specialized products and services to each focus (found opportunity). In which areas one Pre-Big Data project applies? In virtually all areas where data are available for processing by Big Data algorithms. Previously we published a list of areas where there are already proven cases of application of Big Data, it’s worth taking a look at this link for 14 sectors application of Big Data and data necessary for analysis.